Goals for the SOUL – What am I aiming for? Purifying the Soul – How do I strengthen my soul connection? The soul is an independent entity inside your body. The soul has its own will, thoughts, and preferences. The soul has emotions and feelings. The soul possesses incredible wisdom. Love versus Fear – Where are you coming from? Living with love is the key to harmonising the body, mind and soul. Love and its opposite of fear underpin our whole lives, every aspect of life and the meaning of life itself. Without getting philosophical, it’s important that you understand how it influences your body, mind and soul. The love versus fear concept is the perfect tool to guide your own healing. Use your awareness of love and fear to guide your own behaviour. In any given situation you can ask ‘am I acting now out of love or fear?’ The more frequently you reorient your actions with love, the closer you will walk to the path to healing you body, mind and soul, not just your health but all aspects of your life. And the most important time to remember this is when we are being hard on ourselves. And here comes the second cliché… be kind to yourself, love yourself, and you will give the same gift to others! Remember…Love melts all pain. Forgiveness brings peace. Forgiveness – Do you know how to forgive? To forgive is the ultimate gift of humanity. It is also one of the most misunderstood concepts amongst us. Forgiveness is about liberation. It liberates our psyche and our soul from the pain of attachment, and it liberates the psyche and soul of others who may have been consciously or unconsciously involved in our pain. It is unconditional: it requires no response from another so it can be done in isolation. You will know when you have forgiven someone unconditionally because you cannot mistake the feeling of liberation, freedom and non-attachment. In order to heal, we must learn to forgive. Peace cannot exist in the absence of true forgiveness. It is key to healing your life. Ask yourself, who in your life do you need to forgive? Wisdom – Where does your wisdom come from? How wise we become with age is a matter of choice. If we choose to live consciously – consciously learn from our mistakes and choose to do better as a result – we develop wisdom at a greater rate than if we are unconsciously floating through life according to ‘the school of hard knocks’. Soul wisdom refers to our existing wisdom that the soul has registered from other life situations. We can access our soul’s wisdom at any time. Our soul wisdom comes to us in the form of intuition. Intuition is a subtle form of communication from our souls telling us what serves us. That is, our soul knows and tells us what is in our best interests. Living consciously and developing your intuition will put you in touch with your soul wisdom. How conscious are you? Do you consciously learn your life lessons? Universal Service – Are you sharing your wisdom? Soulful people know and live the concept of universal service. They know how to “pay it forward”. They know that we are connected with all of life and that the act of one influences the whole. They use their body, mind and soul to give back to society, they allow all their life experience and wisdom flow through them in service to others, with the intention that they will in turn benefit as they form part of the whole. Universal service is based on the idea that we are all here to help each other progress through life. It refers to Karma, where each action has an equal and opposite reaction. We all live by these principles whether we realise it or not. Universal service is about giving without expecting to receive anything in return. Giving of ourselves without conditions is the goal. To live in universal service means living consciously with a purpose to positively influence all humankind and our environment. As you become aware that your actions impact the world around you, you will find that your life will become enriched in unexpected ways. It is the universe’s way of saying thank you. How can you be of service to humanity? 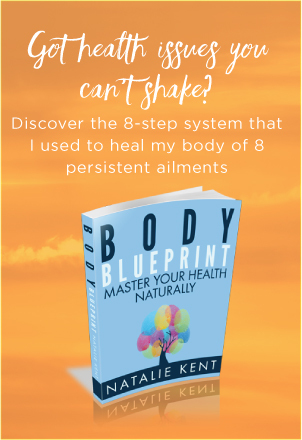 To find out more about balancing the body, mind and soul, go to The Mind-Body Connection. Return from body, mind and soul Balance to My Holistic Healing homepage.